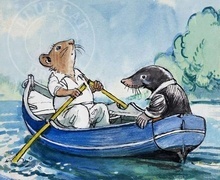 'I think it must be the field-mice,' replied the Mole, with a touch of pride in his manner. 'They go round carol-singing regularly at this time of the year. They're quite an institution in these parts. 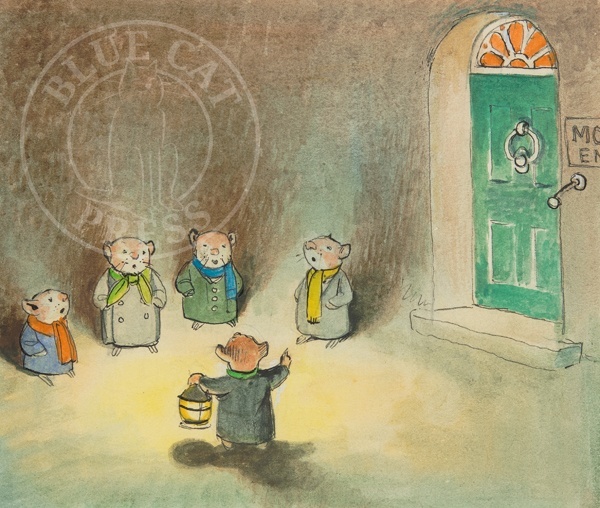 This delicate illustration is a perfect depiction of Kenneth Grahame's choir of field mice as they carol outside Mole End. 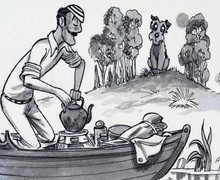 Giclee art print on Hahnemuhle German Etching textured 310gsm paper, hand titled by the publisher and supplied with a certificate of authenticity. Published by Blue Cat Press. 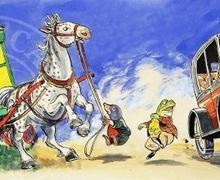 This ORIGINAL WATERCOLOUR painting on board by Philip Mendoza was for a 1983 edition of Kenneth Grahame's 'The Wind in the Willows'. 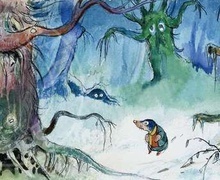 Mendoza painted a number of pictures of the Field Mice for his interpretation of Kenneth Grahame's text. Framing: Supplied mounted and framed.